What can you expect in San Jose? 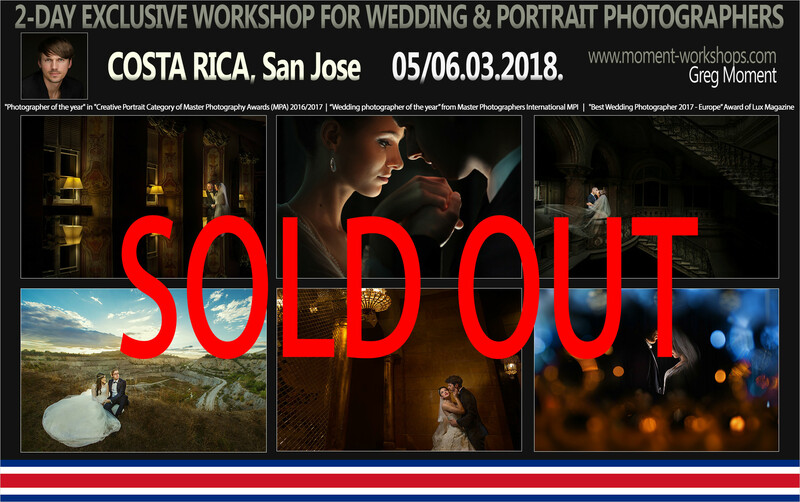 This time Greg Moment (www.moment.com.pl) provides two-day-long workshops for wedding photographers in San Jose, Costa Rica. Language: English (with the support of translator: English <> Spanish language). The fee: 500 USD. Group around 20 photographers. The deposit is required to reserve a seat. Way of payment: cash, regular bank transfer in Costa Rica, Paypal, etc. Please, contact us to find the most convenient way of payment for you. Please note that lunch, coffee and tea (both days) are included with your workshop fee.